Two primary factors have prevented 3D printing from expanding into wider applications: materials and cost per part. By developing lower cost 3D printers like the Form 2 and the Fuse 1, Formlabs is constantly working to lower cost per part by addressing the amortized costs of labor and equipment ownership. Today, we’re pleased to announce two new additions to our Engineering Resins library, expanding your options for 3D printing functional prototypes and low volume production runs on the Form 2. Grey Pro Resin is a versatile prototyping material, suited for functional parts and rigorous testing. Rigid Resin, our first glass-reinforced material, offers very high stiffness and a polished finish and is great for precise printing of strong, thin features. With the introduction of versatile, advanced materials like these, we’re constantly pushing the limits of our 3D printers as well as what additive manufacturing is capable of across the industry. Grey Pro Resin is a versatile prototyping material, suited for functional parts and rigorous testing. Grey Pro Resin’s high precision, moderate elongation, and resistance to deformation over time make it a versatile material suitable for a wide range of engineering applications. Our library of Standard Resins offers numerous options for looks-like prototypes and concept models with smooth surfaces that show fine detail, but we know that for rigorous hands-on prototyping and function and fit testing, parts need to be able to withstand more stress. 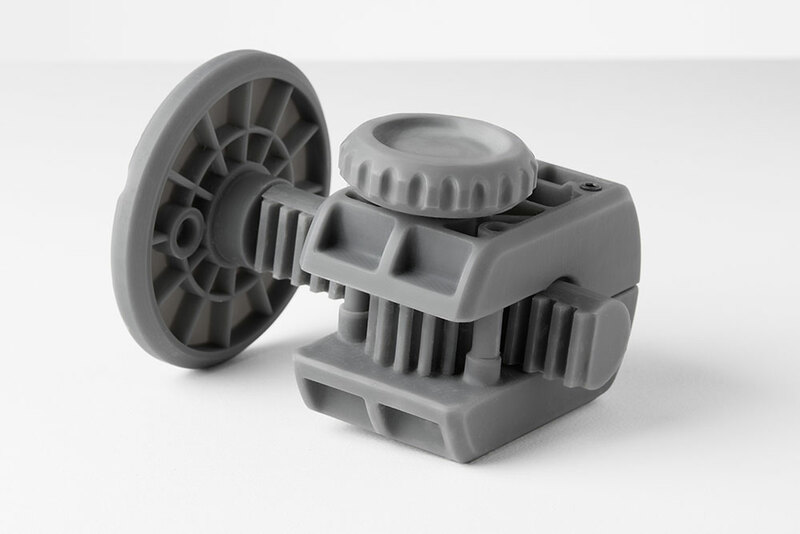 Use Grey Pro for applications like form and fit testing, injection molded product prototypes, mold masters for plastics and silicones, and jigs and fixtures for manufacturing. Grey Pro Resin requires Resin Tank LT for successful printing. Rigid Resin, our first glass-reinforced material, offers very high stiffness and a polished finish. Rigid Resin is reinforced with glass, lending a polished finish and feel. With the highest tensile modulus of any Formlabs resin, Rigid Resin is very stiff and noncompliant. This material has good impact strength and high stability over time. 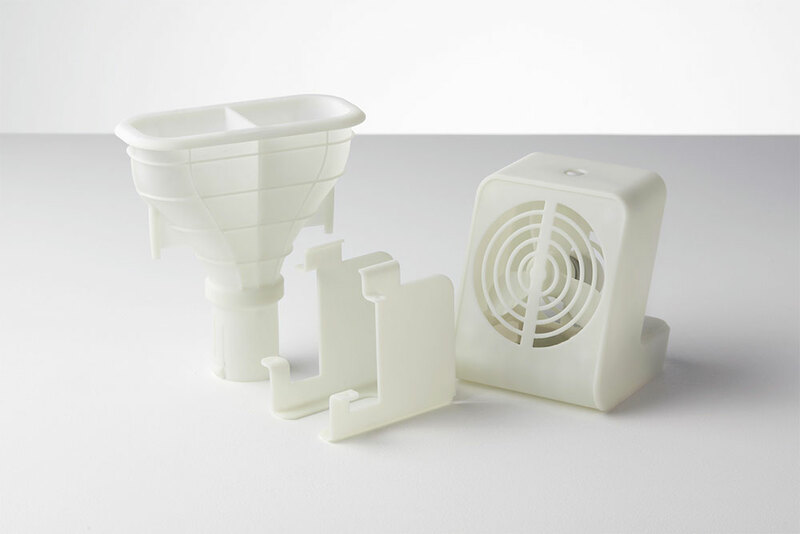 Use Rigid Resin to print turbines and fan blades, jigs, fixtures, and tooling, manifolds, housings for electrical and automotive applications, and other parts that require high stiffness, low creep, and high stability over time. Rigid Resin requires Resin Tank LT for successful printing. Not sure which Engineering Resin to choose? Use this table as a reference for choosing the right material for your application, or find full data sheets on our Engineering Resins page. Grey Pro Precision and stability. Functional testing. Lower impact resistance than Tough and Durable. Rigid Exceptionally stiff and stable over time. Features that are thin and strong. May break if deformed or bent too far. Durable High elongation and impact strength. Low friction reduces wear. Prototyping moving parts, packaging. Can only be used in room temperature applications. Tough High impact strength, high tensile strength. Rugged prototypes. May deform under repetitive and high loads over time. Flexible Bends and compresses. Ergonomic testing. May tear after cyclic stretching. High Temp High temperature resistance. Static, high temperature applications. Environmental testing. Brittle, low elongation. We can’t wait to see what people create with these new resins! Visit the Formlabs store to place your order and start printing.